The Highland Park Historical Society and the Highland Park Historic Preservation Commission have designated October, 2012 as “John Van Bergen Month” in Highland Park. We are recognizing Van Bergen’s significant contribution to the Prairie School movement and his presence in Chicago architecture and in Highland Park in particular. 1) Establishing the Van Bergen Homeowners Association. There are approximately 30 Van Bergen buildings in Highland Park. Creating a collaboration between the owners creates pride and promotes maintenance of the structures. The Historic Preservation Commission will develop a driving tour brochure of Van Bergen buildings in Highland Park. 3) The Historical Society’s Fall House Tour, October 21, Fee. In October, the Annual Historical Society House tour will focus on Van Bergen buildings, including Braeside School. 4) Van Bergen Exhibit. Opens September 30th, free. An exhibit of John Van Bergen documents, pictures and artifacts from the collection of Marty Hackel will be divided between the Historical Society’s museum and the Library. 5) Lecture and Panel Discussion on Van Bergen at the Library, October 14th, free. 6) Teaching Toolkits for District 112 Curriculum. 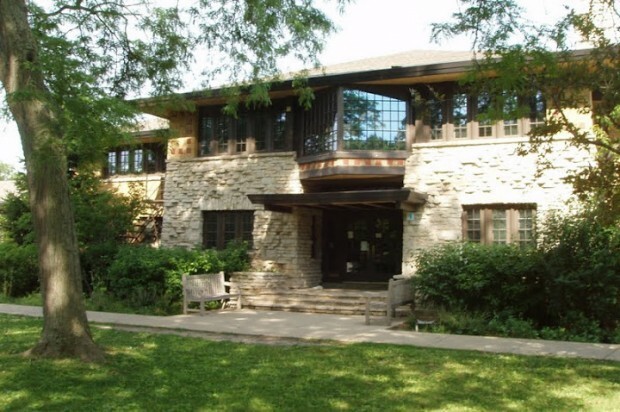 The City and the Historical Society will provide educational packets that include brochures, buttons and QR codes to teachers to assist them in teaching about the history of Van Bergen and his architecture in Highland Park and Chicagoland.